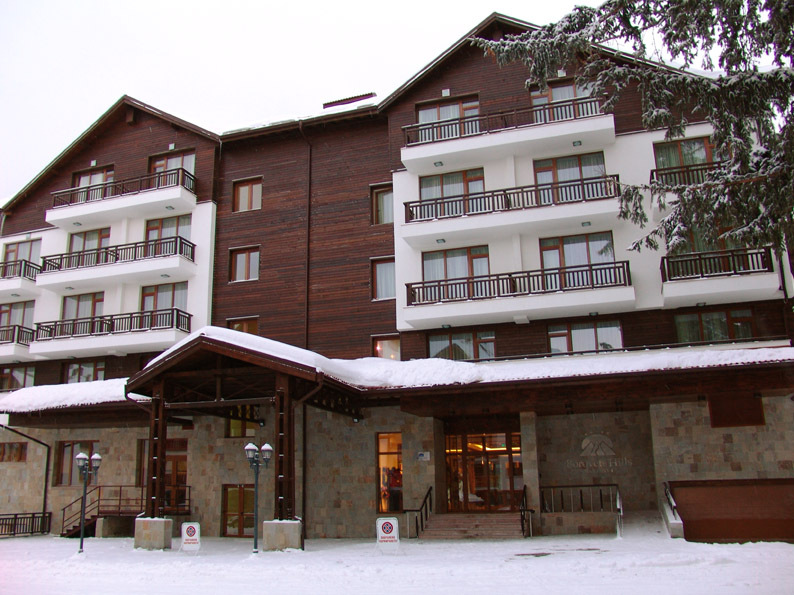 Borovets Hills hotel and Spa complex is among the most modern and elegant alpine hotels in Bulgaria. 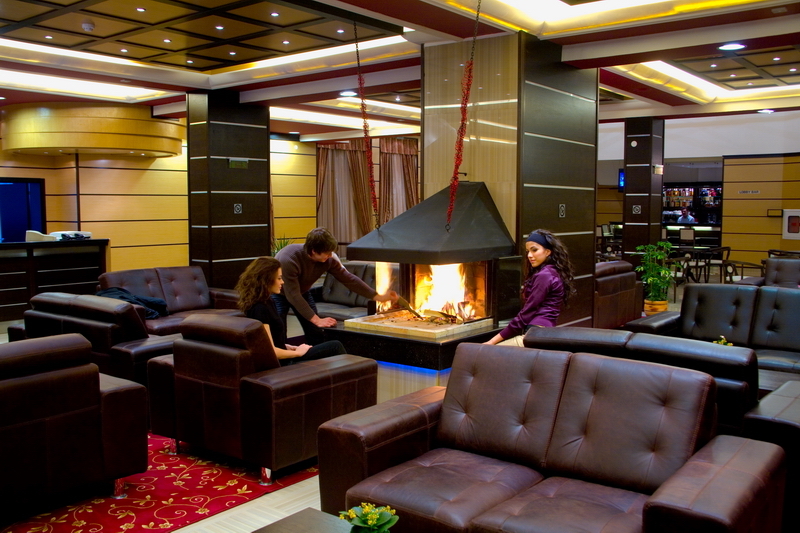 A mere 70km from Sofia international airport, and nestled amid the pine forests of Borovets ski resort, the hotel provides an array of year round relaxation and leisure offers intended to appeal to the desires of guests and visitors of all ages and inclinations. A 2 minute walk to the Yastrebets ski slopes, provides an alternative to the main gondola stations, allowing skiers direct access to the rest of infrastructure of the ski resort. 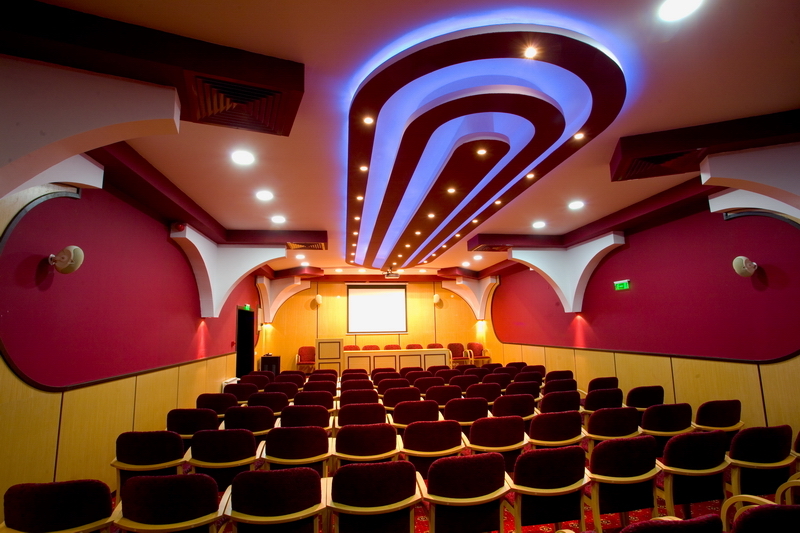 The hotel features 65 spacious, terraced rooms; including 9 suites with fireplaces, 6 studios and 48 double/single rooms with a total occupancy capacity for 130 guests. Each room is elegantly presented with a mini bar, safe, satellite TV, telephone, air conditioning, internet connection, stylish and comfortable bathrooms. 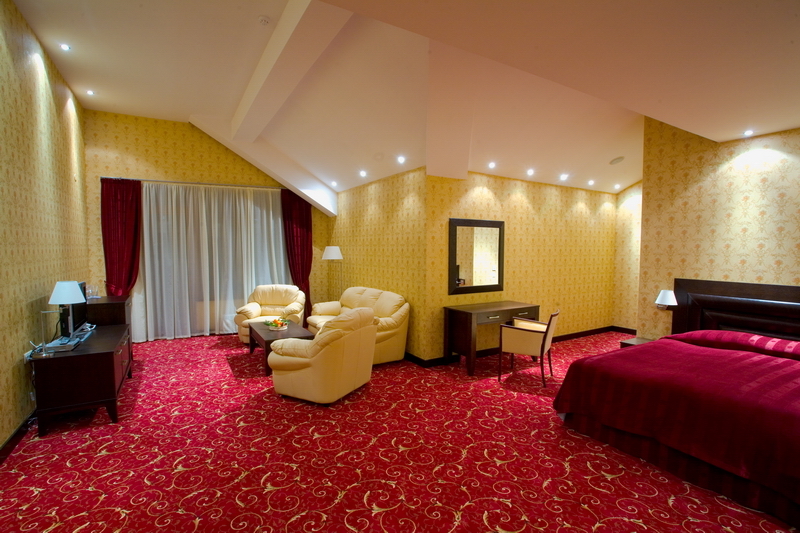 The hotel offers two distinguished restaurants, serving Bulgarian and International cuisine. 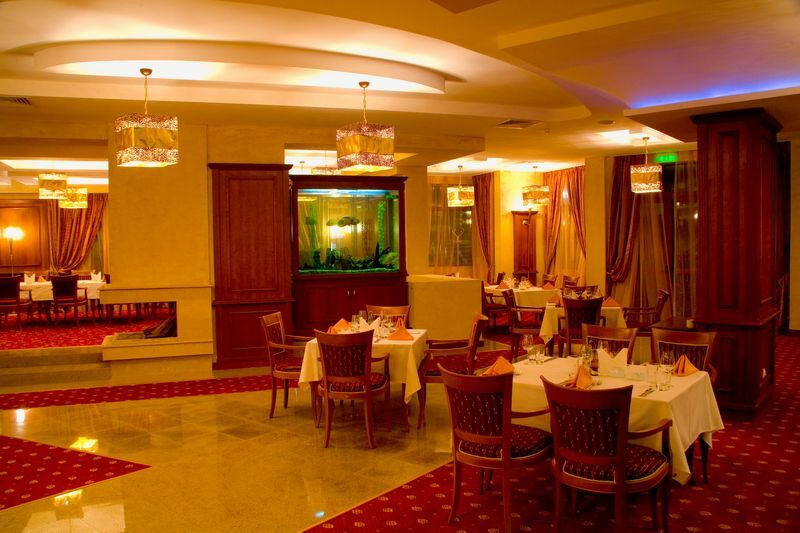 Restaurant "Borovets Hills" has 120 persons seating capacity in a exquisite, stylish atmosphere. "Chanove" Restaurant offer unique views towards the forest and serves traditional Bulgarian dishes, prepared on a barbeque. The lobby bar is spacious and cosy and has a big sunny balcony. The hotel Spa centre offers a diverse selection of treatments intended to provide guests with a truly luxurious and exceptional spa experience. Free access to the swimming pool, steam bath, Jacuzzi and fitness centre. 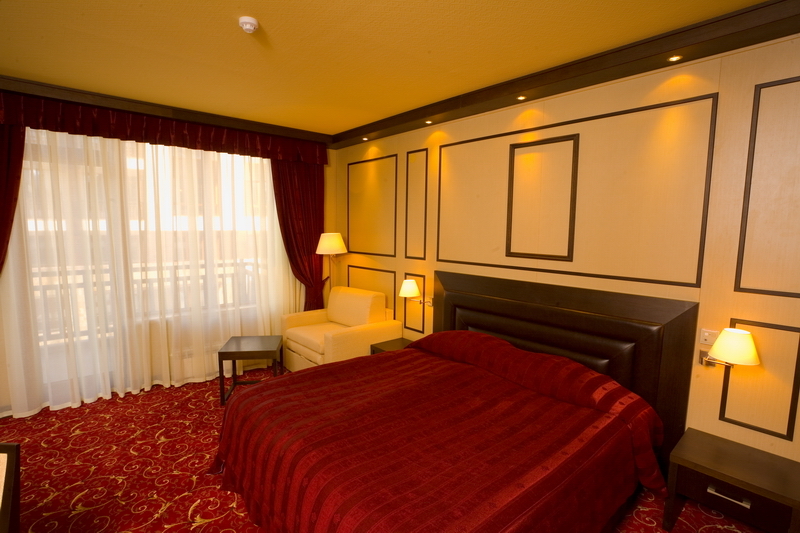 Prices include: overnight, breakfast, use of swimming pool, sauna and fitness, steam bath, resort tax.